Injection molding is one of the main methods by which parts are manufactured from plastic. The first step in the injection molding process is to feed plastic pellets into the hopper, which then feeds the pellets into the barrel. 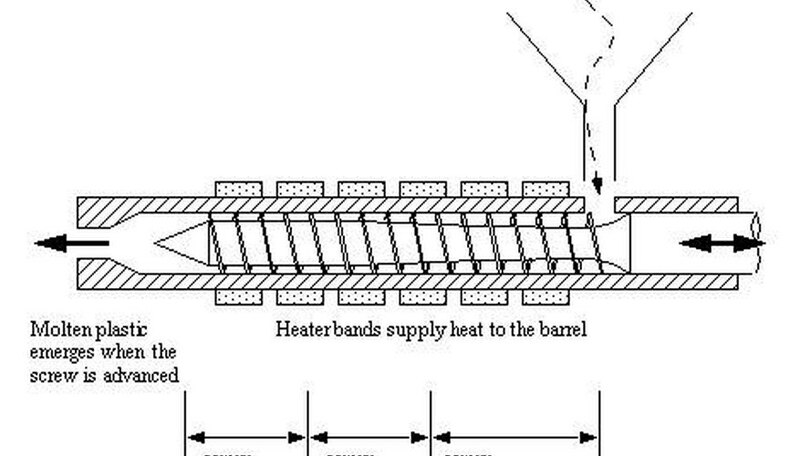 The barrel is heated and contains a reciprocating screw or a ram injector. A reciprocating screw is typically found in machines that produce smaller parts. The reciprocating screw crushes the pellets, making it easier for the plastic to be liquefied. Toward the front of the barrel, the reciprocating screw propels the liquefied plastic forward, thereby injecting the plastic through a nozzle and into the empty mold. Unlike the barrel, the mold is kept cool to harden the plastic into the correct shape. The mold plates are held closed by a large plate (referred to as a movable platen). The movable platen is attached to a hydraulic piston, which puts pressure on the mold. Clamping the mold shut prevents plastic from leaking out, which would create deformities in the finished pieces. Extrusion molding is another method of manufacturing plastic components. 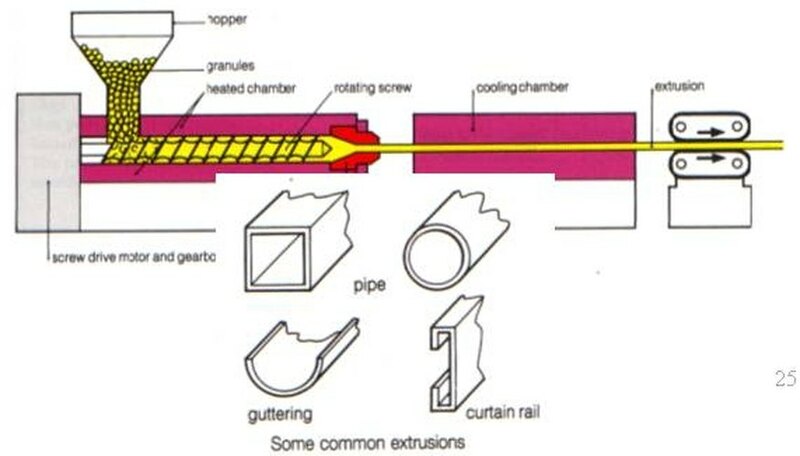 Extrusion molding is very similar to injection molding and is used to make pipes, tubes, straws, hoses and other hollow pieces. Plastic resin is fed into a barrel where it is liquefied. A rotating screw propels the liquefied plastic into a mold, which contains a tube-shaped orifice. The size and shape of the tube determines the size and shape of the plastic piece. The liquefied plastic then cools and is fed through an extruder, which flattens the plastic and forms the piece into its final shape. 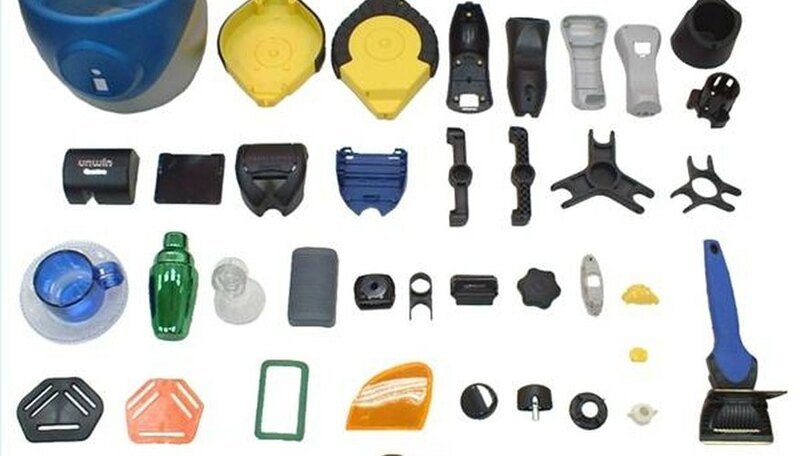 A number of complications can arise during the plastic manufacturing process, including burned parts, deformities, surface imperfections and brittle parts. Parts become burned when the molds are not kept cool or if the melting temperature in the barrel is too high. Additionally, if the reciprocating screw becomes jammed or is not rotating fast enough, liquefied resin will remain in the barrel too long and become scorched. Surface imperfections and deformities occur when the surface temperature of the mold is uneven, if the molds are not clamped tightly enough or if the melting temperature is too high. Brittle pieces are formed when not enough liquefied resin is injected into the mold or if the plastic hardens before the mold can be filled. Regular testing and calibration of injection and extrusion molding machines is critical to ensure that the process runs smoothly. Writer, Contributing. "The Plastic Manufacturing Process." 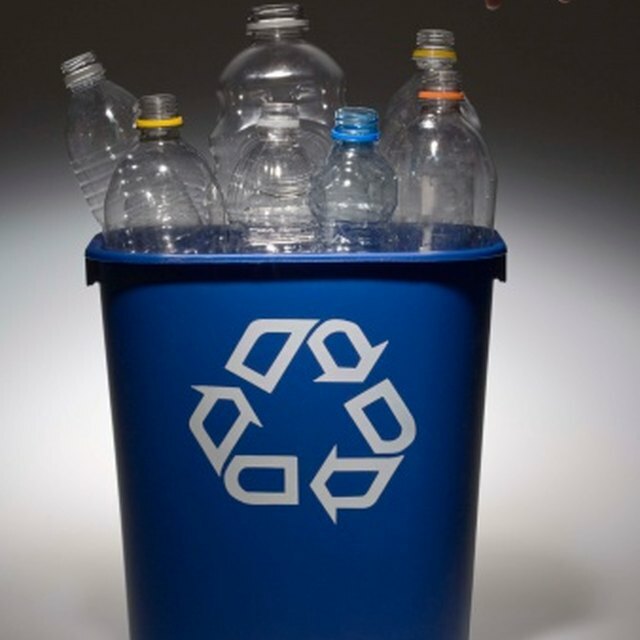 Sciencing, https://sciencing.com/how-does-4963354-plastic-manufacturing-process.html. 09 January 2018. How Are Plastic Grocery Bags Made?